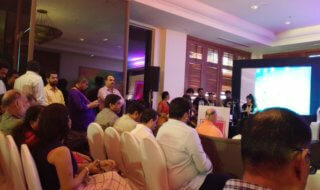 The first taste of The Mumbai Fest , its inauguration at J.W.Marriot , Juhu ,was awesome. It had many dignitaries from various fields gracing the occasion. 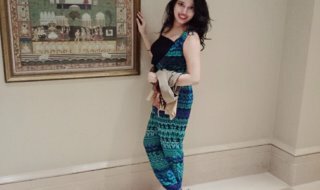 I am so glad to share with you some of the awesome moments. As they say, it is not about the destination , it is about the journey. So, let’s get started, as Lord Ganpati is the most loved deity of Aamchi Mumbai, the festival began with Ganesh Vandana performed by dancer Vinodini Hassan. One of the most fascinating part of the launch was the presence of Swami Lokesh Mani and Swami Indrayuma. The audience was totally inspired with the motivating talks of both Swamijis. 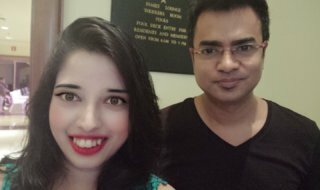 Looking beyond the usual razz ma tazz, the promoter of Mumbai fest have chosen these two Spiritual gurus to be a part of the fest, which is quite commendable. It is no doubt that their presence generated positive vibes in its own way. 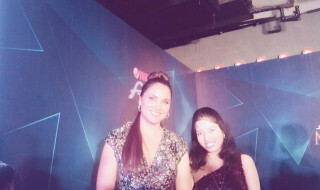 Me and singer Debojit at the Mumbai Fest grand opening. But how can a Mumbai festival be completed without the presence of Bollywood? Bollywood is the pulse of Mumbai, the major reason because our film industry was started in Aamchi Mumbai by Dadasaheb Phalke. That is why it forms the major crust of Mumbai culture. 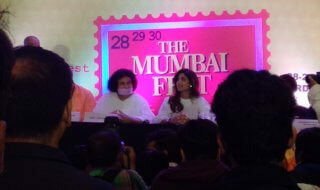 No wonder singer Ankit Tiwari, Debojit , actor Kiku Sharda aka Palak, and of course the bold beauty Shilpa Shetty Kundra were present to inaugurate the Mumbai fest. It as an awesome experience. 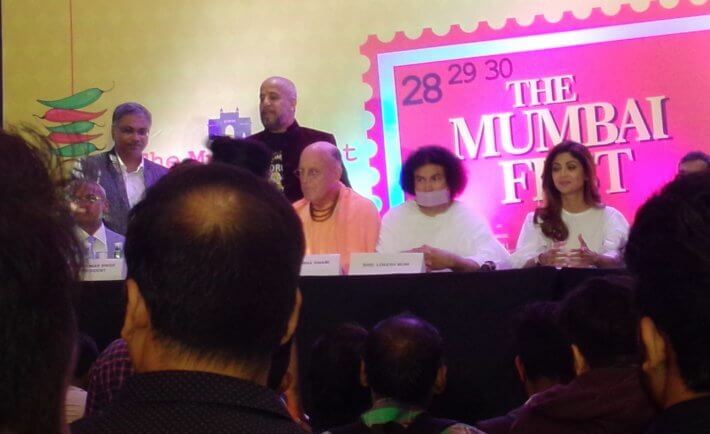 I believe the fest will be a real festival of Mumbai. After all, the city of dreams gives so much to the people. It’s time to celebrate the city. The concept includes a 7 island theme. There are 7 types of mock islands to be created such as Bollywood Island, Yoga Island etc. There is also street food island. I am really looking forward to this grand event backed by a charitable trust. The noble intention is to spread Indianness that is celebrated in Mumbai globally. Biryani Art: An actual art! !